We were on an Italian music label DEFOX RECORDS blog page of October 12. 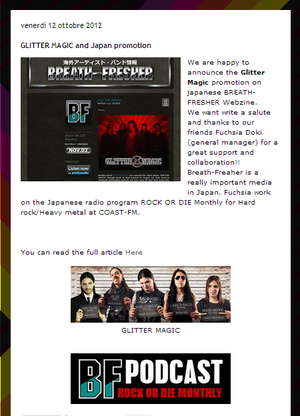 The result from we have featured a band GLITTER MAGIC which belongs to the label. They have various types of bands from different countries. Check out DEFOX RECORDS Website and Blog.